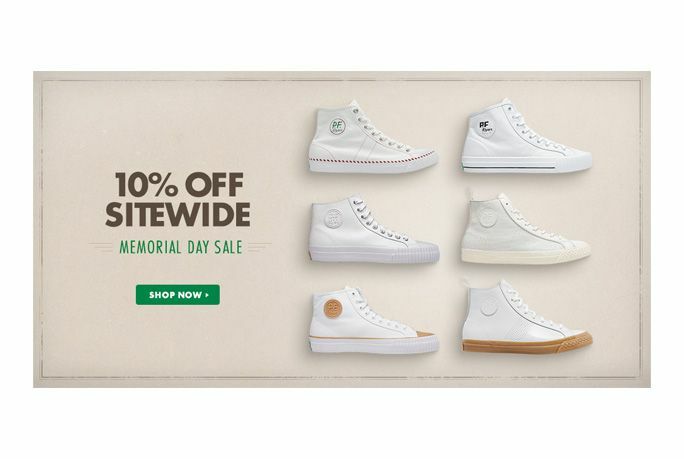 PF Flyers is a shoe brand built on vulcanized rubber and canvas techniques. New Balance purchased this brand in 2001 and then re-launched it in 2003. Since then, PF Flyers has been maintained by New Balance as a premium, classic sneaker brand rooted in authentic American style. 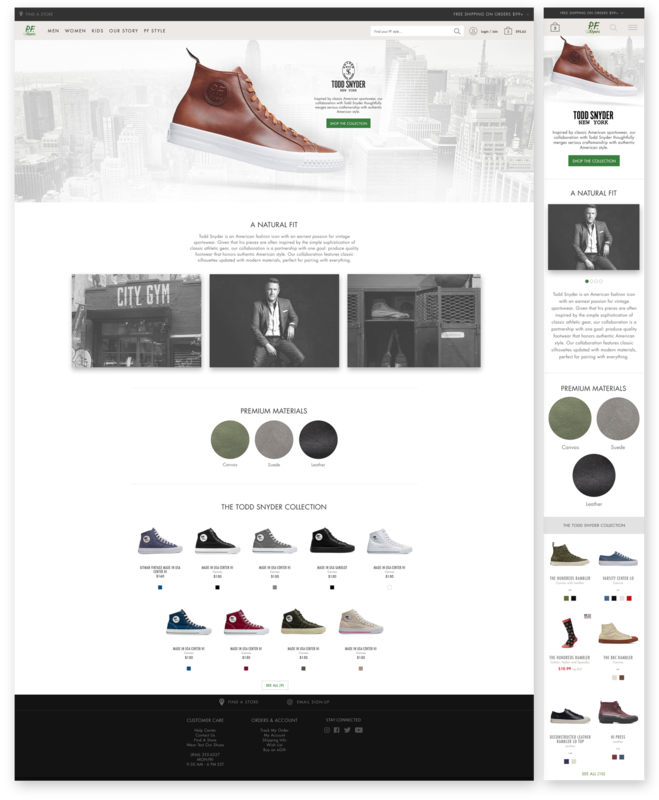 In late 2016 and early 2017 PF Flyers took part in a site rebrand. I had the responsibility of evolving the brand's look through on-site deliverables, marketing emails, landing pages, and affiliate channels. 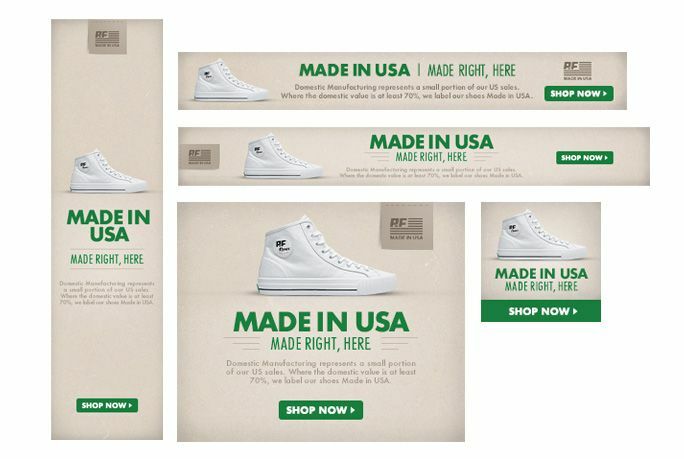 The deliverables above are examples of the new PF Flyers style. 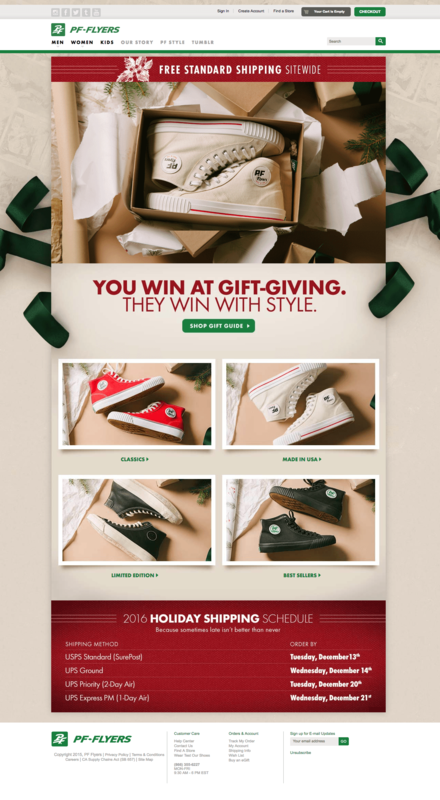 The preceding deliverables are a few examples I created in the legacy style before the launch of the new site and style. Among these assets, you'll find the 2016 holiday gift guide, marketing emails, affiliate ads, and social media images. 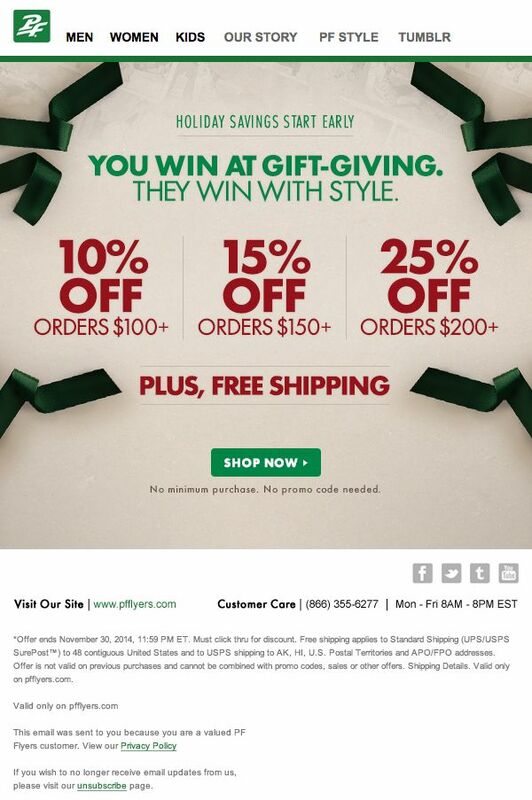 In preparation for holiday 2016, I created PF's gift guide look/theme across the site and other related marketing assets. Click any of the assets to view the consumer facing result. 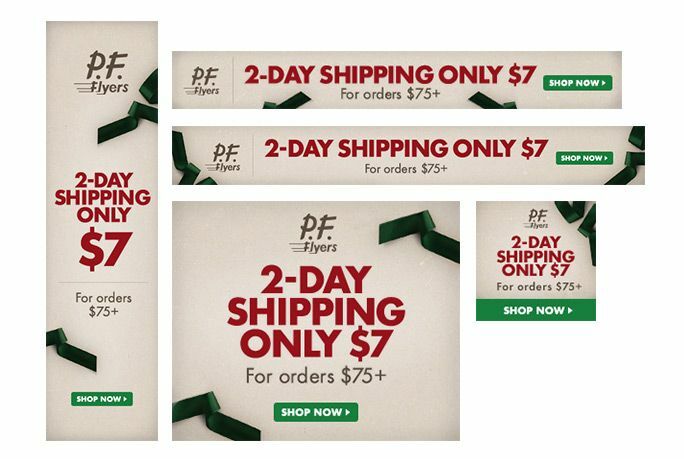 To see a complete list of all PF Flyers promotional emails I have created, check out the archived list or contact me by email if you would like to see more work.